Here to Heart 溫暖的弦 premiered on Hunan TV last Monday, April 30, 2018, and the show has been generating some buzz online as it surpasses 400 million views in three days. Zhang Han plays the smart and successful CEO that could have been his alter ego in Boss & Me except our titular couple which has Janine Chang as the leading lady have many emotional hurdles to overcome. 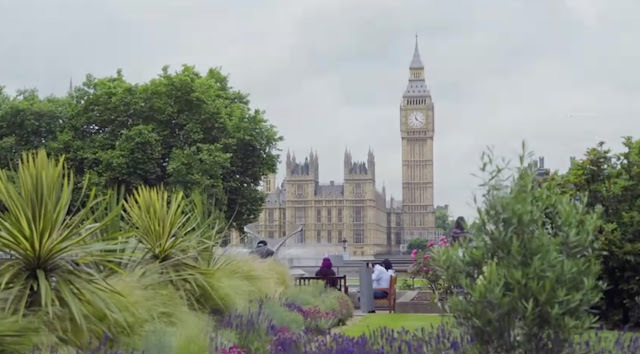 The scene opens to a beautiful view of London's several iconic landmarks where we catch a glimpse of our heroine Wen Nuan (Janine Chang) as she walks into a surprise farewell party that her co-workers are throwing for her. 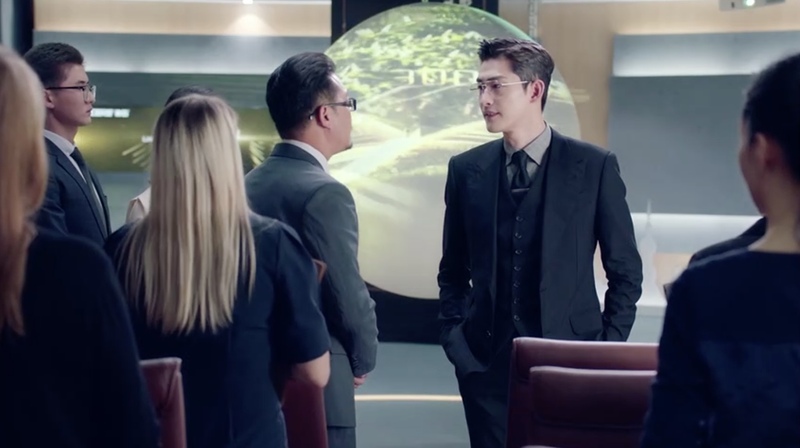 The next scene takes us to Qian Yu's London Division where Zhan Nan Xian (Zhang Han) enters with his entourage for a meeting. Nan Xian seems pissed (although he acts rather stoically) at Lao Gu and calls him out for leaving his assistant to stand without a seat. Nan Xian later reveals that his assistant has been promoted to the London Division's new general manager leaving Lao Gu at a loss for words at being forced out of a job. Lao Gu is also found to be conspiring with their competitor, Dai Zhong. Yang Ying (assistant turned new general manager) mentions that charges have been brought against Lao Gu and he is escorted out the door. The scene shows Wen Nuan and Zhou Linlu (Jing Chao) talking about Wen Nuan's experience coming full circle since he brought her to London seven years ago. He can sense that she's not keen on joining him and working for Dai Zhong, and he agrees to try and find her a job somewhere else. 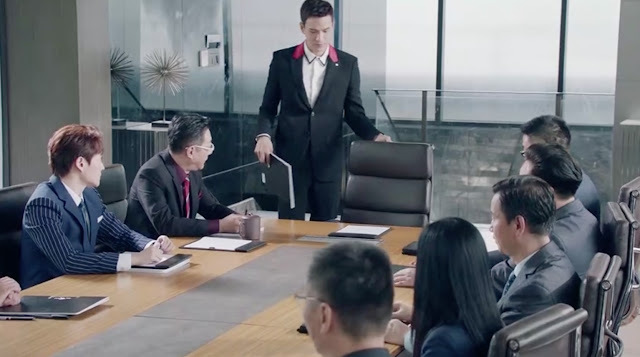 We fast forward to Shanghai three months later where a discussion is happening to decide who will fill in the assistant position now that Yang Ying has transferred to the London Division. The first candidate is senior administrative manager, Du Xin Tong, who has been with the company for over three years. Duan Yan is the second candidate who is a bit low key with a hint of a Type A personality. Third candidate is Cambridge graduate, Wen Nuan, from the sales department who has been with the company only three months (I love this new hair btw!). We cut to Wen Nuan's interview with the director. She tells him that she believes she's up to the challenge but wonders if she's qualified (notice that she wringing her hands together?). The director asks her to be forthcoming and you'd see her wringing her hands again. She finally explains that her boyfriend is Zhou Linlu, general manager for their competitor, Dai Zhong. The director looks surprised then politely ends the interview and advises that the results will be sent out tomorrow. The story moves on to reveal the more ambitious candidate, Du Xin Tong, trying to give Dan Ran unsolicited advice by talking about how her best friend is an excellent tutor who can get kids into a specific school. I guess she's hoping this "favor" will land her the job. Wen Nuan is back home recalling her interview with the director, and we learn that Zhou Linlu is not really her boyfriend. 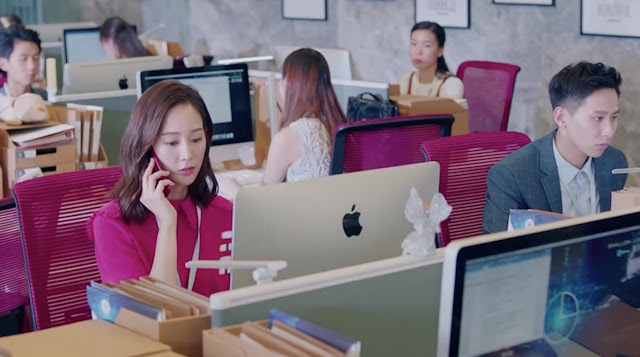 Her thoughts are interrupted by a phone call from Aunt Li who informs Wen Nuan that she has been chosen to participate in the CEO assistant selection process. Aunt Li reassures Wen Nuan that it has been 7 years and that she has been brave. Aunt Li further advises that things will get better before Wen Nuan knows it. Wen Nuan confirms that she won't give up. Wen Nuan's sister Wen Rou (Zhou Qiqi) comes in to tells Wen Nuan that she is glad that Aunt Li was in London to look after her. She regretted not being a good sister in the past but reassures Wen Nuan that she will always be with her from now on. There is an awkward attempt by Wen Rou to reach out, which Wen Nuan surreptitiously avoids it as she brings out a gift that she had prepared. As Wen Nuan tries to put the watch on her sister's hands, she sees an old cut on her wrist. Wen Nuan wonders why she has no memory of her sister's wound. Her sister explains that it was due to a drunken night after a break up that she accidentally cut herself with a wine glass. However, Wen Nuan suddenly has a foggy flashback of her younger self finding a knife and a lifeless body with a bloodied wrist. 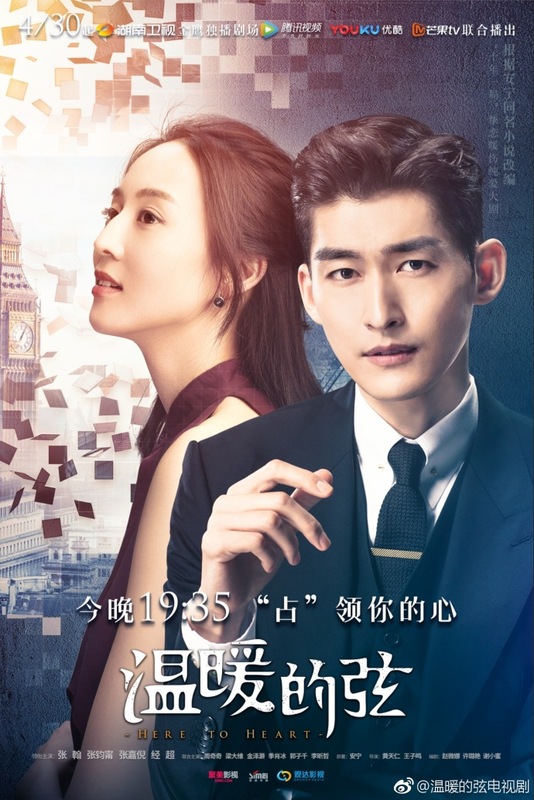 Wen Nuan asks if she was really in London when it happened, which her sister confirms. Wen Rou says that their friend Linlu was the one who brought her to the hospital. She looks sketchy so we know there's something she's not telling us. In his sleep, Zhan Nan Xian dreams about a young man running after a girl in the white car who calls him arrogant, controlling and hopes that he would disappear from her life. We then see a slightly older Nan Xian on the ledge of the building pushed off the ledge and free-falling. We don't know who the girl is yet but we know that he was never really pushed off the ledge since he is nudged awake. After a short confusing monologue with his pet turtles, we see Nan Xian getting ready and psyching himself up to win back Wen Nuan. Back at Qian Yu office, it is announced that Wen Nuan got the job and of course you'd expect people to have their opinions about it. 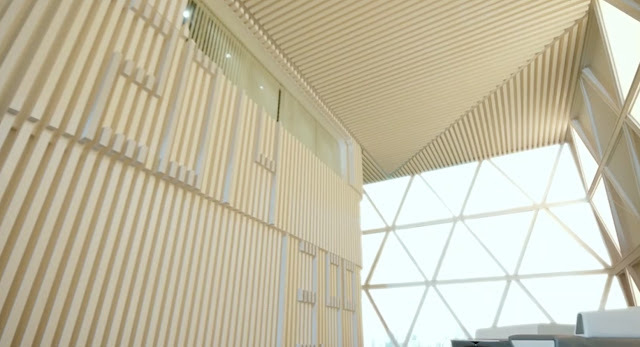 Wen Nuan soon receives a call from the director with instructions to report to 66th floor. During a conversation in the car between Nan Xian and Gao Fang (Ji Xiao Bing), we learn that Nan Xian is in a 7 year relationship with actress Yi Xin (Zhang Jiani) and that the public has been wondering when the wedding will be. Gao Fang also asks about Wen Nuan getting hired as the new assistant when her boyfriend works for Dai Zhong. Then we learn the big secret -- that Nan Xian has been in love with Wen Nuan for the last seven years. Wen Nuan psyches herself up on the way up to the 66th floor, and reminds herself not to give up. She is met by Nan Xian's assistant Ding Xiao Dai (Guo Zi Qian) asking if she knows the significance of the numbers on the wall (Xiao Dai's shorts and Wen Nuan's bag immediately caught my eye for some reason!). Wen Nuan explains that 2008 was the year that the company's first product was developed, 2011 was when the company was established, 2014 was when it was first listed and 1399 was the closing price on the first day it was listed. She also reveals that it's their birthday. Over at Dai Zhong, we see Linlu heading a shareholder's meeting wherein he explains that their R&D is weak and that it is imperative for them to win the bid for Alpha. Since they are having financial problems, he will take over the task of finding people to fund the bid. In the next scene, we see Nan Xian with Gao Fang in the glass elevator talking about why they don't need to bid on Alpha since they have not prepared early enough. Their R&D is fairly strong and there are 10 others interested. They exit the private elevator and hear footsteps only to find Wen Nuan in the office. They stand face to face for what seems like eternity and you can see she's clenching the folder but eventually greets the men. We see flashbacks of 2 teens (one of them we know to be Nan Xian) carelessly running around, serenading a girl and kissing her. Nan Xian says nothing and walks away. Wen Nuan seems to be on the verge of breaking down but says nothing. 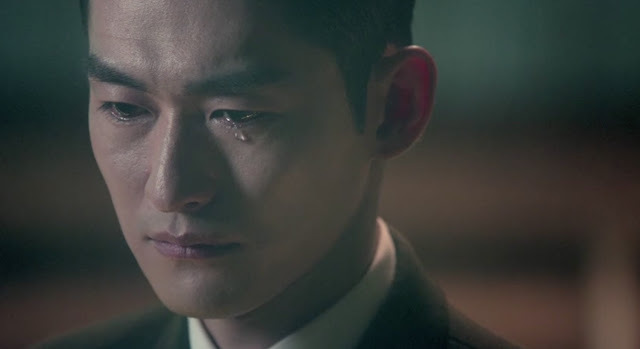 I guess Nan Xian was hurt that she didn't acknowledge him and pretended he was a stranger because he shed a tear (literally A TEAR!). Gao Fang checks with him again if he's sure about hiring Wen Nuan (it's the second time he's asked). Instead of giving a straight answer, Nian Xian asked Gao Fang a question. I don't understand why he can't just give a straight answer. 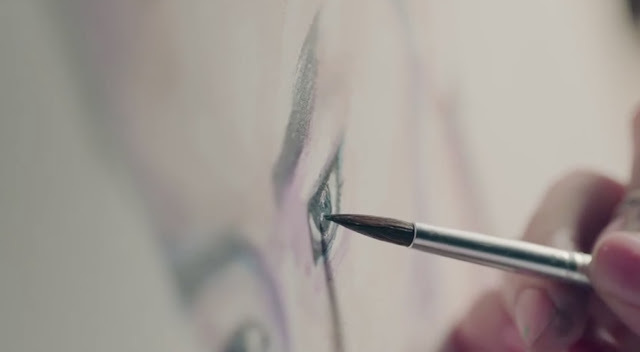 Wen Nuan seems to be sketching Nan Xian while recalling what happened earlier that night. She must have been on edge because she drops her paint and wonders why she came back at all if they'd go on as strangers. Meanwhile, Linlu is at a bar persuading this creepy rich guy to fund his Alpha bid. A lot of back and forth happens but the rich guy eventually gets on board after Linlu promises to cover his projected profits for the year. He even praises Linlu for being devious enough to plant Wen Nuan as Qian Yu's CEO's assistant but that news surprises Linlu. 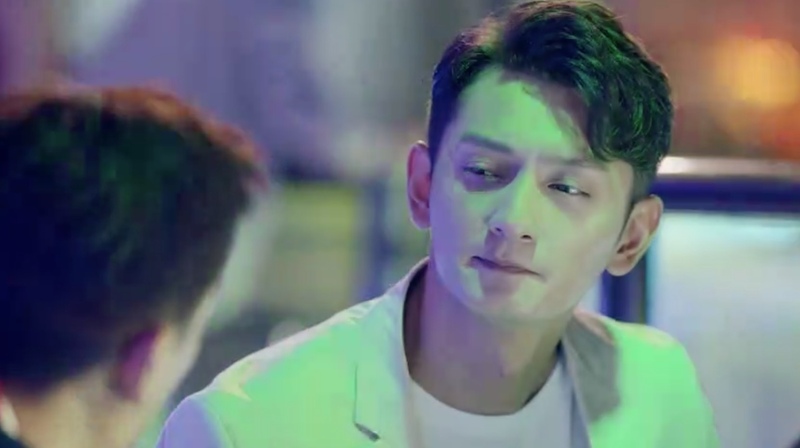 The episode ends with Wen Nuan being introduced to Manager Guan (Jin Ze Hao). 1. The show was about 45 minutes long and I felt the time was not used efficiently as first episodes are usually done to introduce characters. 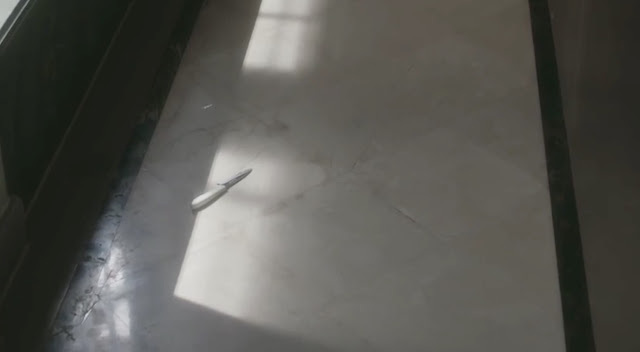 This episode was used to raise more questions. 2. I was confused as to why Wen Nuan doesn't remember her sister's wound? Does she have amnesia? If she has memory loss, why was that not brought up? 3. It tried to touch on several aspects of the story too soon. There are just too many questions. The history of Wen Nuan and Nan Xian, her sister's wound that she can't remember for some reason, why she come back, why she left 7 years ago and what's her relationship with Linlu? -- It's too much for my brain to absorb in one sitting. It's that series. 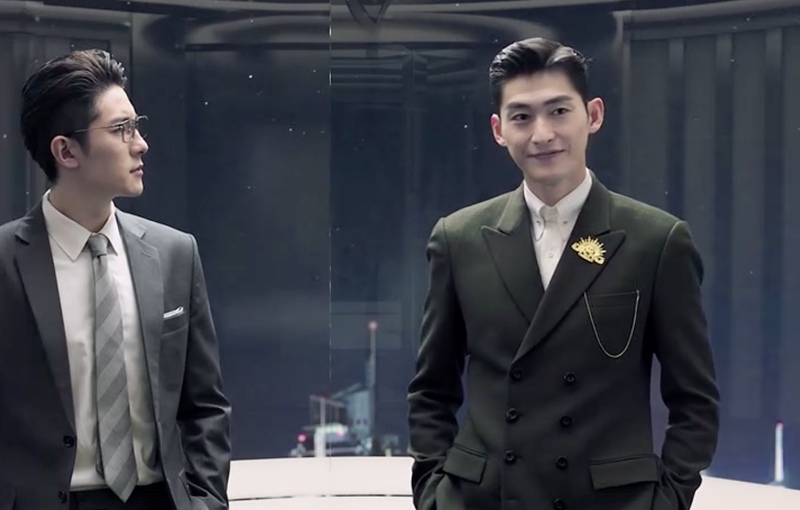 Huang XiaoMing dropped out and Zhang Han replaced him. I watched the first 2 episodes. I'm going to wait until they're done and then decide if it's worth it. Not crazy about all of these long episodes series that C-drama are so incline on keeping on doing. Cut it short and tighten up the storyline. can anyone tell me why huang xiaoming drop from this drama? I read somewhere that Huang Xiao Ming backed out of this drama to film for 'The Years You Were Late'. Thank you very much for your recap. I've been chasing after this drama since it started, going into viki so many times that I've lost count of it. I am a fan of both leads and so far their acting and chemistry is so captivating. Your recap makes me understand the show better. I hope you will continue doing so. After witnessing a suicide, the main female maybe had a nervous breakdown (mental illness like paranoid schizophrenia). I wish Huang XiaoMing was the main lead. He's more of eye candy to watch. 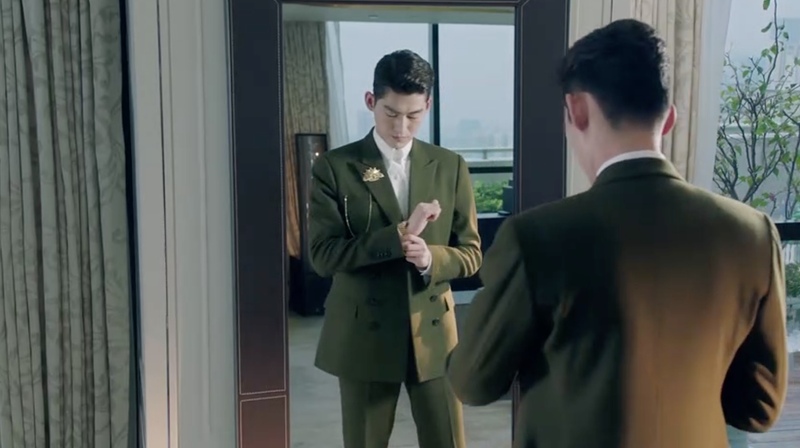 I think zhang Han is a better actor - especially this kind of roles. I'm enjoying the series so far. So many unexplained back story slowly slowly revealed. It's like peeling onions. Can't stand the 2nd female lead. I know right? They seem to dumb all the plot lines in one go so you'll be confused most of the time during the first episode. Haha! It is good drama.I am just kind of dislike female character. She is too emotional. She come back for him but she is hesitate when she meets him. What is the reason for that ? I am curious about that. I know! I don't even understand what made her leave in the first place. If she knows that Nan Xian's the CEO, why did she even apply there in the first place right? It is confusing to try to understand where she's coming from. Personally, I only watched like 10 episodes. Zhan Nanxian seemed liked a real jerk and I just couldnt keep watching. Honestly, I liked the scenes with Wen Nuan and Zhu Linlu the best because they were so fun together and silly. Like when they were arguing but still managed to take a good selfie and when they were cutting each others food.lol. they were so cute, I wanted them to be together. The chemistry with Nanxian was off. I mean he made her come in every weekend and made her work overtime because he was jealous that she posted a photo with her boyfriend, I mean come on, what a douche ( the character not the actor, of course).